Amazon Prime Video on Friday announced their upcoming Prime Original series titled Four More Shots Please! The show revolves around the lives of four young, urban Indian women. 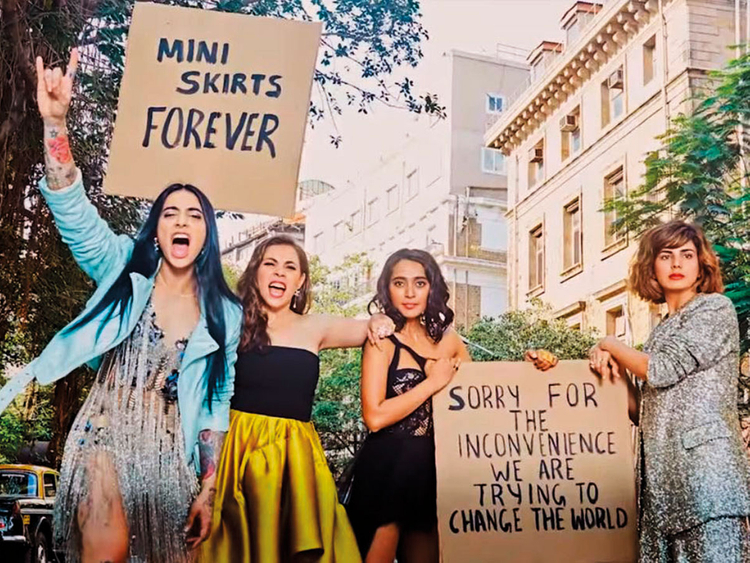 It stars Sayani Gupta, Kirti Kulhari, Bani J and Maanvi Gagroo along with an ensemble cast comprising Prateik Babbar, Neil Bhoopalam, Lisa Ray, Milind Soman, Amrita Puri and Sapna Pabbi. This 10-part comedy series is based on the friendship between the four women, and their relationships, ambitions and anxieties. “We are thrilled to present Four More Shots Please!, a female-centric story of four urban Indian women, their life choices, their crises, romance, high points, helmed by their rock-solid, life-saving friendship,” Vijay Subramaniam, Director and Head, Content, Amazon Prime Video, India, said in a statement. Created in collaboration with Rangita Pritish Nandy, produced by Pritish Nandy Communications and directed by Anu Menon, the show is helmed by a predominantly female cast and crew. The show will be available on Prime Video on January 25, 2019.